As our children get older, we have increasingly more things to schedule around. With just our six year old son, we have school activities, play dates, and tae kwon do. That is on top of routine doctor and dental appointments, etc . . . I had to find a way to increase our household organization. Soon the twins will throwing their schedules into the mix along with their big brother's, my husband's, and my own. At the moment, I have everything written in my Day Runner with the important things set to have my computer's calendar email me a reminder. Then I also have a calendar in the kitchen where I write all the family-related appointments on top of their being in my personal organizer. Are you following me so far? My son even has a wall calendar in his room where I try to write anything that has to do with him, but I rarely remember to do so. 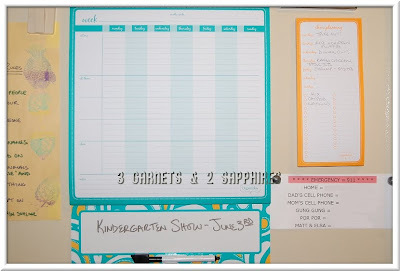 I knew there had to be a better way to keep my family organized and the Organizher brand of products by Mead offers families like mine quite a few choices of organizational tools. 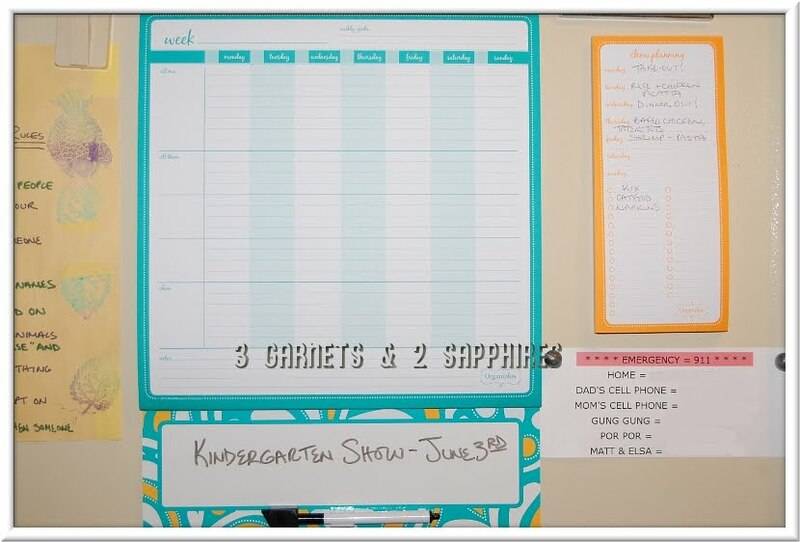 The Organizher Magnetic Calendar Center allows me to list out all our appointments and important tasks for the week in one place. This calendar is divided so that each member of your family can have their own section for easy reference. 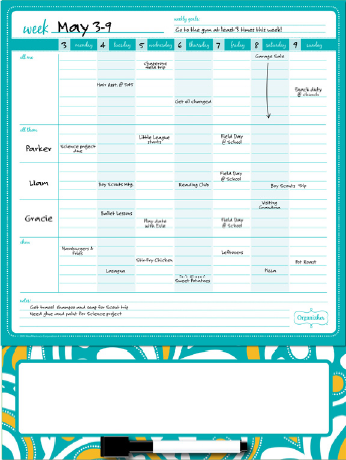 There is even a place to plan out your meals for each day. This particular calendar is undated, which is great because there are some weeks where we do not have too much planned so it is possible to skip a week without wasting a whole page. The Meal Planning Magnetic Notepad is similar to something I was already using, except this product is much more compact. 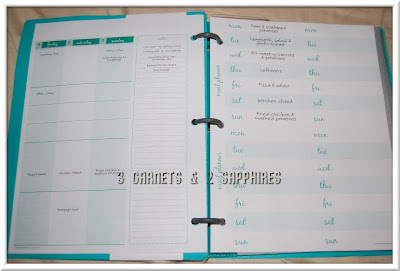 I love this pad because it lets you plan out a whole week's worth of meals and list out the ingredients you need to purchase on the same page along with your other grocery items. 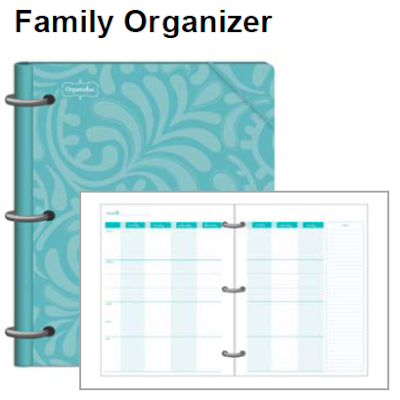 The Family Organizer is great for someone who likes all their organizational tools in one place. 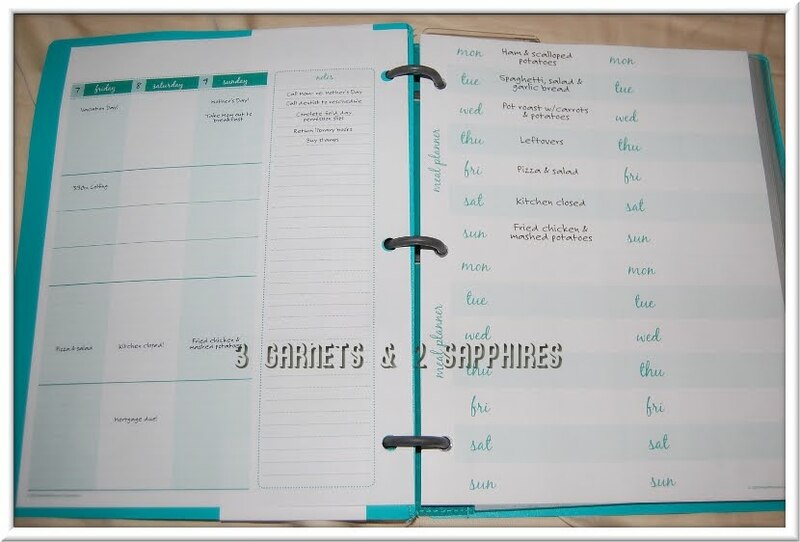 It contains sections to plan schedules (your family's and your own), menus, shopping, and more. The perforated to-do lists have the days of the week on the front, but also have a blank checklist on the back. These are perfect if you make honey-do lists every week for your spouse and your older children. The Expense Tracker is exactly what I needed to keep our bills straight. There is a place to write out your budget. It is always easier to follow a budget when it is written down where you can see it. 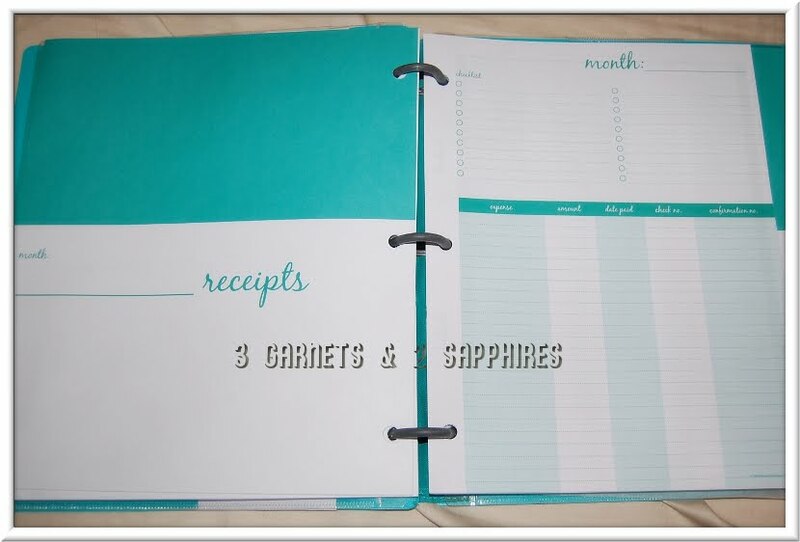 There are also pockets for each month's bills and for each month's receipts. Since this system allows you to separate your expenses month by month, it is easier to actually see where your money goes. I had been tracking my family's expenses on a simple Excel spreadsheet and it is really difficult to use it as a tool to track expenses other than tracking account balances because everything is lumped together. 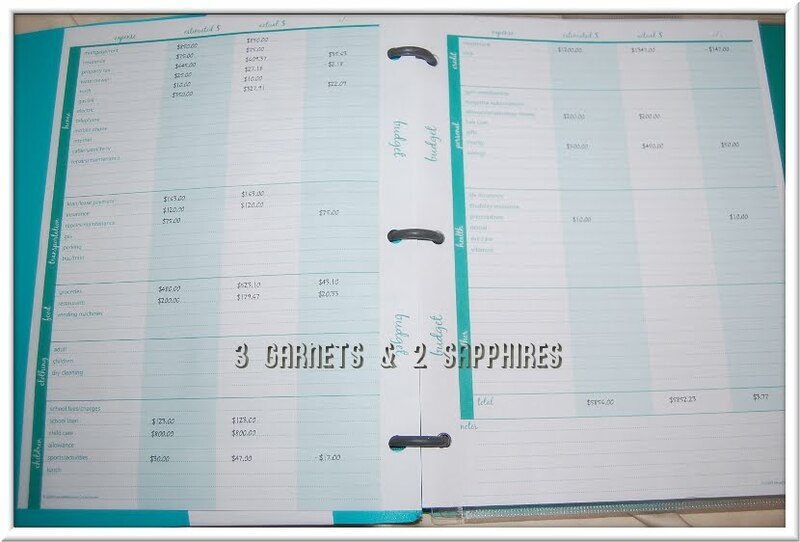 These and many more Organizher products by Mead or extremely affordable. For example, the Family Organizer retails for just $14.99 and the Meal Planning Magnetic Notepad sells for just $3.99 . You can find Organizher products at most Target stores nationwide. Thank you to Mead for providing us with Organizher product samples free of charge to base this review upon and for providing additional products plus a Target gift card to use as our contest prize. One lucky reader will receive one of each item I reviewed (a Family Organizer, an Expense Tracker, a Magnetic Calendar Center, and a Meal Planning Magnetic Notepad) along with a $25 Target gift card. This giveaway is open to U.S. entries only. You do not need to be a blogger to enter, but you must have a valid email address and be age 18 years or older. If you enter anonymously and do not include a valid email address in your comment entries, I will not be able to notify you should you win this random drawing. Winner must not have won any Mead or Organizher prize pack within the last 90 days. 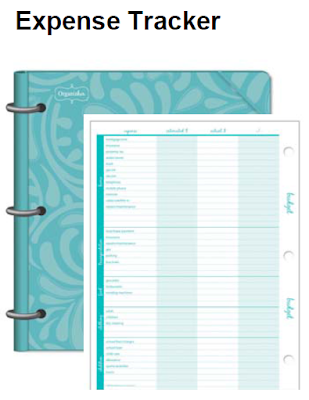 Browse the selection of Organizher products currently available. Then leave a comment telling me which one product would be most helpful to you and why. You MUST do this to be eligible to win this contest. 3) For 10 extra entries, blog about this contest linking back to this post. Then come back here and leave TEN separate comments with the link to your blog post. 5) For one extra entry each, "Like" Organizher on Facebook and/or follow Organizher on Twitter. Then leave a separate comment with the link to your Facebook profile or your Twitter profile. 7) Tweet about this giveaway linking back to this post using hashtag #Organizher. Then come back here and leave the link to your tweet in a separate comment. You may do this once per day until the end of the contest.